A pound of perfectly shelled pecan halves. Very fresh new crop pecans. 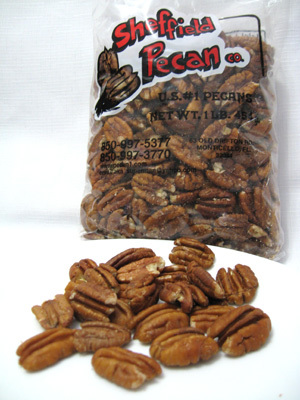 These are premium pecans, and you can definitely taste the difference. They'll ensure the perfect pie or other pecan recipe. Everyone with an interest in cooking and baking will appreciate these -- and you will, too, if you're in line for a slice when they're done!